I'm joining Style and Soul blog giveaway. 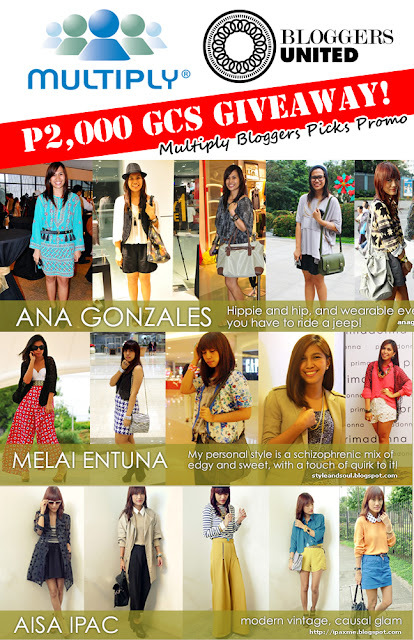 She's giving away P2000 worth of Multiply gift certificate. Join now until January 27, 2012. Open to local readers only. For complete mechanics head on to her blog.